Posted on July 25, 2017 by Dr. Poz. A recent article in The Blade (http://www.toledoblade.com/Medical/2017/05/15/Using-essential-oils-to-treat-illness-a-growing-trend.html) discussed the growing trend of using essential oils – derived from plants, fruits and herb extracts – to treat a variety of illnesses. 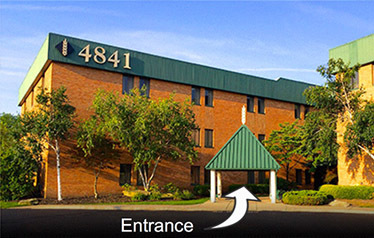 We continually look for treatment, techniques and procedures that produce the best oral health (and overall health) outcomes for our patients. If you are looking for all natural essential oil treatments to help promote better oral health we prescribe the following two products. They both use essential oils to treat mouth issues and have been proven to show great results – results we have seen firsthand with our patients. 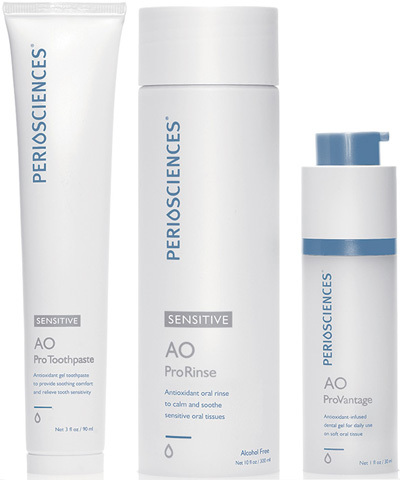 PerioSciences offers advanced products for maximizing oral and systemic health and which address infection and inflammation while being soothing and pleasant to use. The company’s products (gel, rinse and toothpaste) have natural antioxidants and natural anti-bacterial agents that are designed to work in concert saliva — the body’s own oral defense system. Powerful antioxidants, phloretin and ferulic, complement those in saliva. Polyphenols from Green Tea work with saliva’s antimicrobial agents. A mixture of herbs and essential oils are uniquely formulated to promote a healthy oral environment, fresh breath, and naturally moist oral tissues. PerioSciences products provide natural ingredients which are gentle on soft oral tissue, but provide powerful plant-based antioxidants and polyphenols to enhance the salivary system. 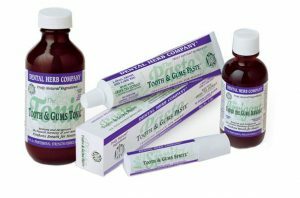 Dental Herb Company’s alcohol-free products (Tooth & Gums Tonic, Paste, Spritz ) are formulated with a proprietary blend of essential oils and organically grown herbs proven to reduce oral bacteria and help maintain healthy teeth and gums. They contain powerful antimicrobials, providing maximum potency and long-lasting effectiveness to reduce harmful oral bacteria that lead to halitosis (bad breath) and periodontal disease. The products can control bleeding and inflammation, treat gingivitis and periodontitis and are ideal for perio, implants, restorative, cosmetic and laser gum surgery. In addition they enhance development of and rebuild connective tissue, as well as condition gum tissue for soothing and healing. If you’re looking for all natural essential oil treatments to help promote better oral health, please call the office or ask me or one of the staff to tell you more about these effective products during your next appointment.